Indie Retro News: Unavowed - Long-awaited urban fantasy adventure from Wadjet Eye Games, is now available! Unavowed - Long-awaited urban fantasy adventure from Wadjet Eye Games, is now available! Wadjet Eye Games, the Studio behind the brilliant adventure games such as Golden Wake and The Blackwell Series have once again contacted us regarding their upcoming supernatural adventure game ' Unavowed ', which tells a story of dark forces and a squad of young blood to protect the mundane world from a threat stronger than any these crime fighters have faced. Wadjet Eye Games has told us not only is the game now available for PC and MAC, but it's available through GOG, Steam and their main website! Unavowed takes inspirations from story-heavy RPGs like Dragon Age while staying true to Wadjet Eye's point-and-click roots, with gorgeously gritty pixel art graphics with double the pixels of any previous Wadjet Eye games, plus added features such as the building of a party from four secondary characters whose unique skills change puzzle solutions, and being able to make decisions about the player character's gender and background that influence the storyline.... So yes an Adventure game that's well worth picking up today! A demon possessed you one year ago, kicking off a gory crime spree around New York City. 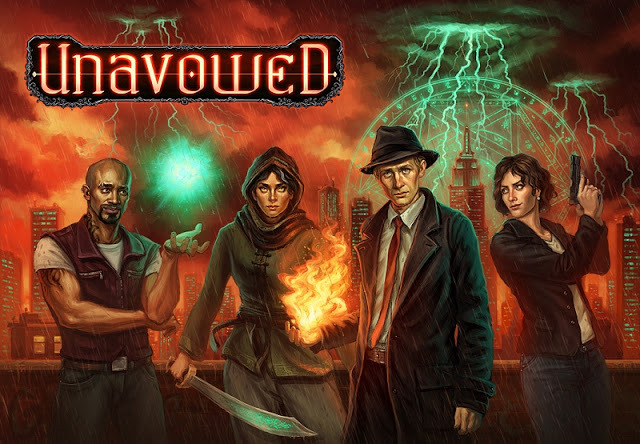 Waking up on a stormy rooftop, you meet your saviors: the Unavowed, an underground group of supernatural guardians who have fended off darkness for centuries. Life as you knew it is over, but by joining their ranks you have a chance to reverse some of the damage you've done -- and, if you choose wisely, to redeem yourself. Shape your hero: Name the playable character, choose their gender, and pick from three origin stories to customize the protagonist. Variations in backstories and personalities provides replay value. Follow your conscience: Difficult choices await. 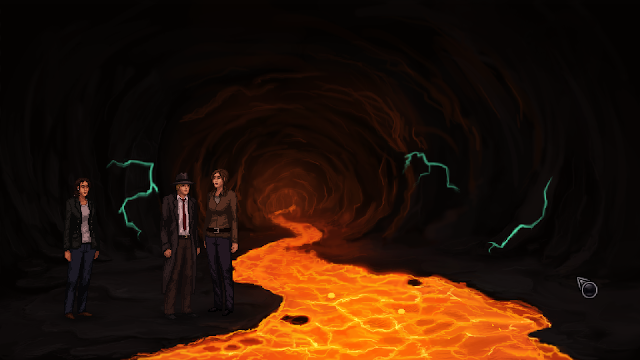 In Unavowed's subtly branching storyline, your decisions could come back to help you... or haunt you.